So are you leaning towards building the 305 next or the 356? Both look interesting. Actually when I wrote this I forgot that I want to make a pair of those sconces I designed — that’s probably the next project in the shop. I have everything I need to make them, I found a source for some nice cast brass lamp sockets with a threaded shoulder. 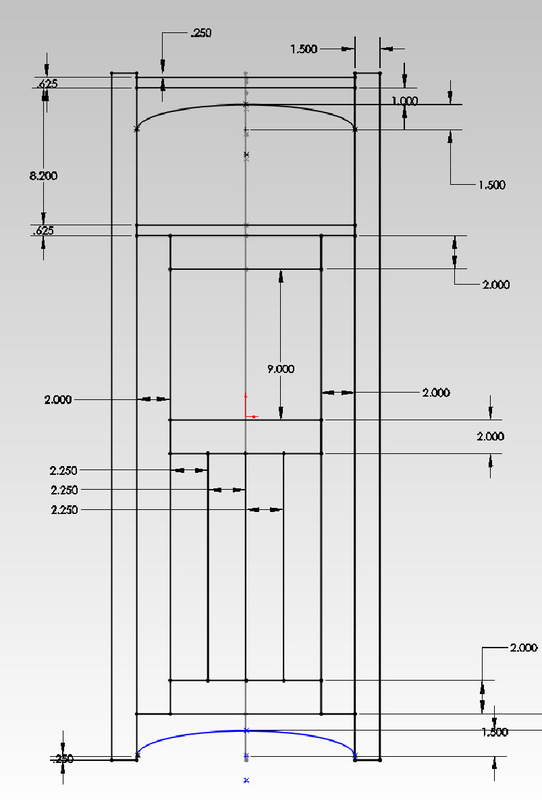 I think I’ll spend a little more time on the CAD model of the 305 1/2 just to see what it would look like. It’s an unusual piece. I could imagine it with leather on the top (and/or the sub top), that might be pretty cool. Not sure about the design in the glass though, that’s a little odd. To me the 305 looks like a bed side table (the lower storage space behind the door being used for a pot in those times). 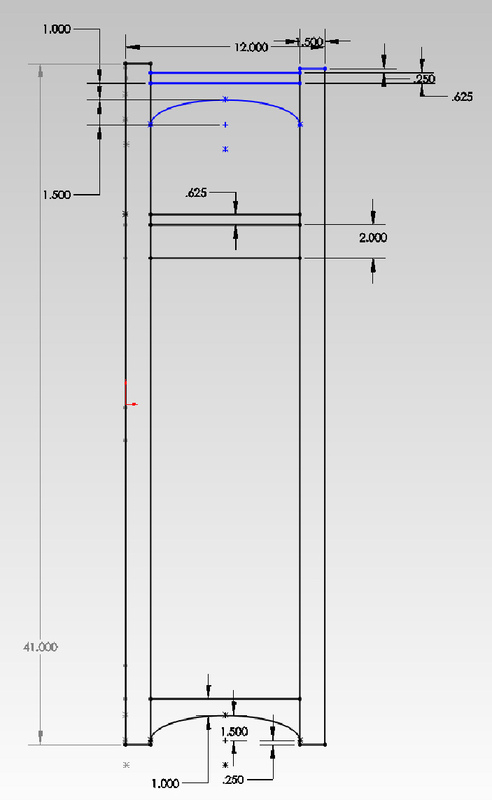 I think it’s too tall though, at 41″. Seems like more of a plant stand/cabinet. Beds were much higher at that time. 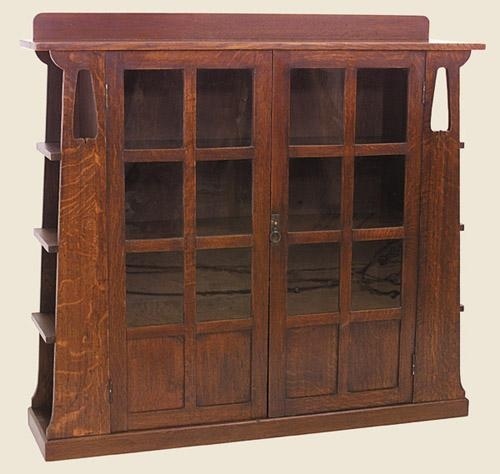 Is there any cabinet advertised as bed side table in the catalog for comparison? But it could be a plant stand. 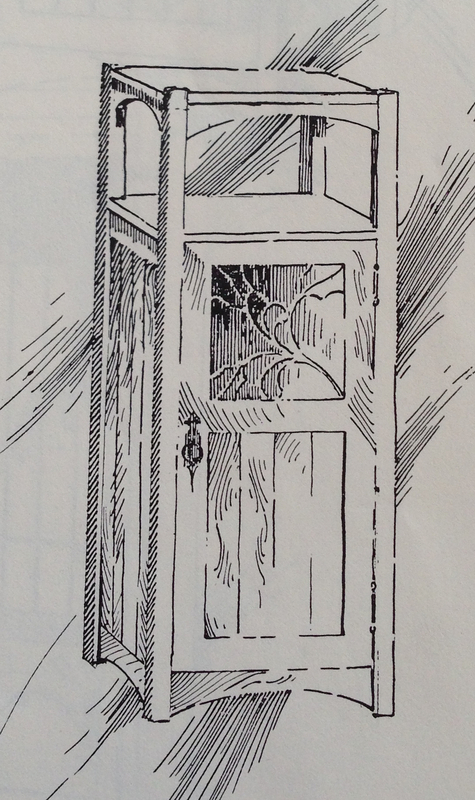 There aren’t any beds or bedside tables in the 1903 catalog. No bedroom furniture at all. My suspicion is that bedroom furniture was not something most people spent much money on in the early 1900s. Buying any furniture was a significant expense for folks. We have an older mission style bed in the guest room, it’s about 35″ with the mattress and box springs. I made a side table for it maybe 10 years ago in my previous woodworking phase that is about 29″ tall. I’m sure there were taller beds, but 41″ is pretty tall — you would need a stool to get into bed at night.